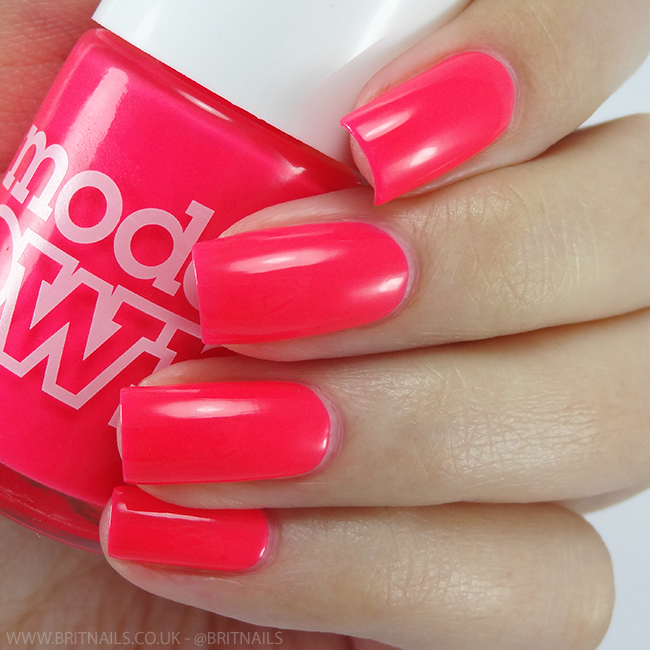 Today's post is all about the new Polish For Tans shades from Models Own. It may not be feeling much like Summer in the UK right now, but there's always a reason for brights, and maybe you're one of the lucky ones with your Summer holiday still to come! Beach Fire is a pale orange neon. I found 3 thin coats worked best here, plus top coat. Models Own always nail it for Summer with the Polish For Tans shades, they've become my go-to for holidays and a couple always find their way into my suitcase. 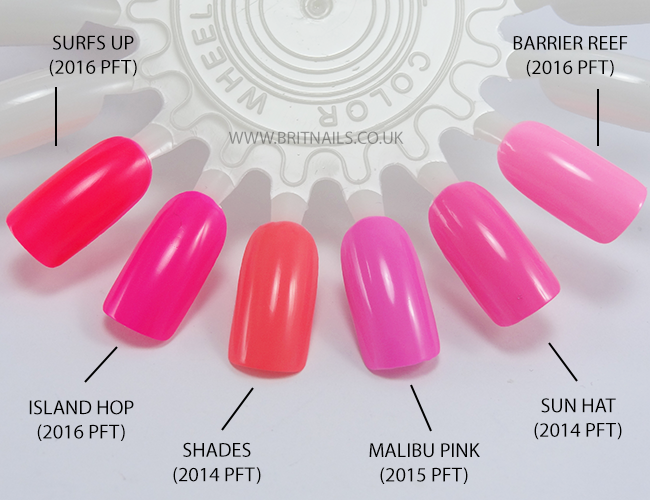 They're also great for gradient nail art and bright, fun nail art in general. The only thing is I think there's possibly too many pink shades! I'd love to see less pink in the next release and maybe more blues and greens. I've put together a comparison of all the pinks across the 3 releases so you can decide for yourself if you need all of them. Let me know what you think! They are absolutely stunning! 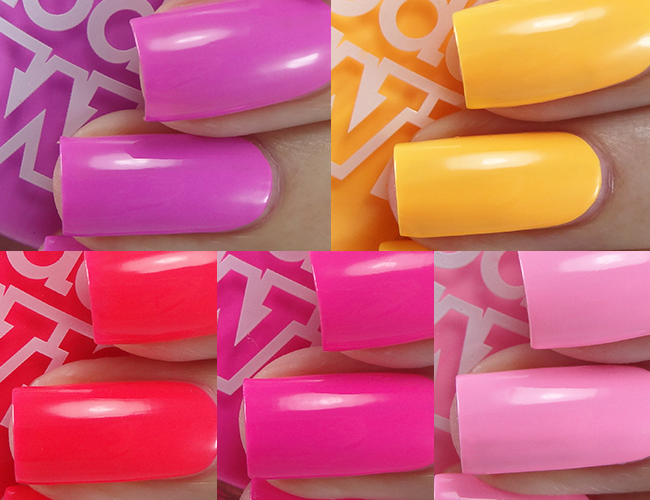 I love Polish For Tans collections and it's so good to hear that the formula improved too. Thank you for the comparison photo, that's very handy. I can't get enough of neons. Give me all the neons! Beach Fire is the most unique here and I would love it. Gorgeous swatches Allie and although I agree there's a lot of pink, you know I'm a massive pink fan and therefore need them all. I hope however that PFT '17 contains some more unusual colours, a teal would be amazing. These are such gorgeous colours. 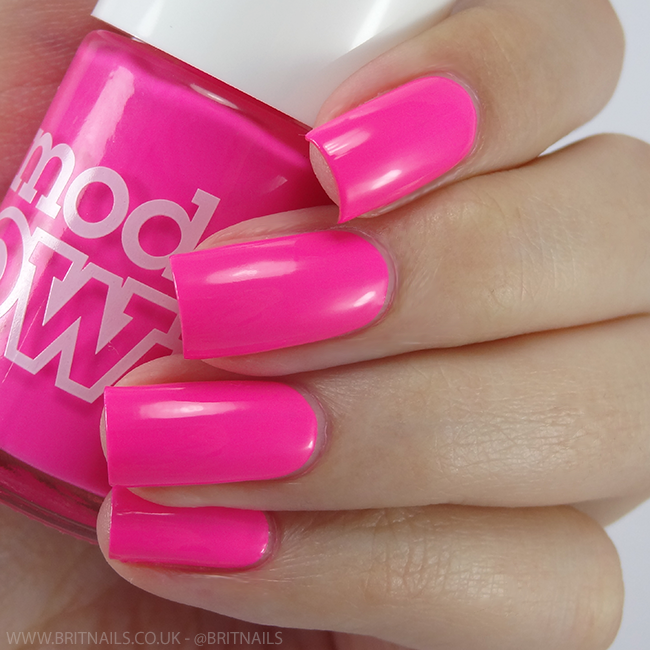 Perfect for the warmer months, but that said, I do love shades like this for anytime of year, especially for pedicures! These are so much fun and gorgeous for summer! I'm particularly loving that neon orange! I got all of these except Surfs Up as it was out of stock! I agree with more blues and greens next time though I still love these pinks. Gorgeous swatches as always! Oooh! I especially like Surf's Up and Beach Fire!